Your credit can mean the difference between getting approved or denied for a loan. Good credit often means you’ll get a lower interest rate and thus, you can save money (possibly thousands) over the course of your loan period. In other words, your credit has a significant impact on your financial life. With that said, you may feel left in the dark when it comes to learning how to manage credit effectively. Although it may seem like a credit score is an arbitrary number, it’s not. In reality, it’s important that you manage your credit wisely to keep your credit score in good shape. 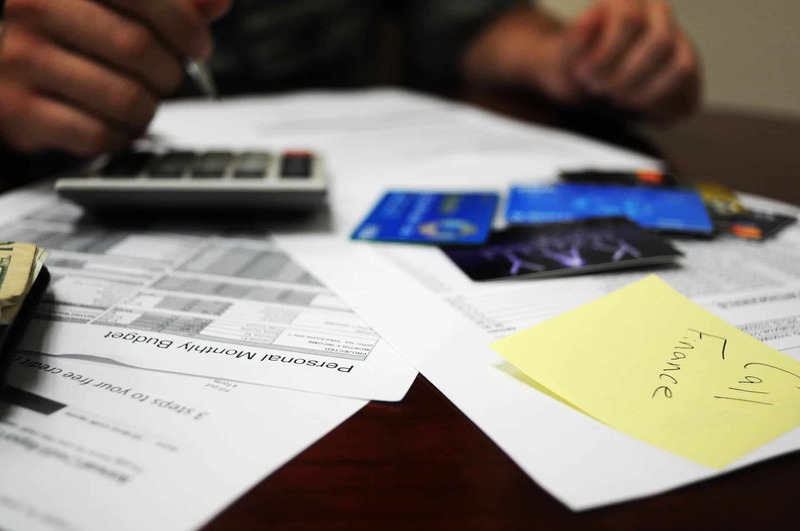 Here are 5 practical tips to help you manage credit responsibly. This tip seems super obvious but it’s the most important way to manage credit responsibly. It’s pretty simple: make your payments on time. As an adult, life happens. We get it. You get busy and forget to make a payment on your credit card. Yet, your payment history has the greatest impact on your credit score. For this reason, it’s key to have a system in place to make all of your payments on time. This is particularly important as lenders want to know that you’re going to pay back the money you borrow. If you miss a payment once, or several times, this can be a red flag to lenders. So, make your payments on time, and if possible, in full. For example, if you are paying back a credit card, it’s a good idea to pay the whole balance instead of just the minimum payment. You may also want to consider signing up for auto-pay if the lender offers it. This will help you stay on top of your payments. If you want to do things manually, you should at least sign up to get payment reminders or put them on your calendar to prevent your credit score from taking a hit. You may think that a certain amount of credit means that you should always use that entire amount, but that’s not true. It’s a better idea to keep your balances low so that lenders are able to see that you can manage credit responsibly. The CBC recommends keeping balances below 30 percent of your limit and states that using more than 50 per cent of your limit can actually hurt your credit. With this in mind, let’s say you have a credit card limit of $3,000 and each month you use $2,500 of that amount. This means you’ve used 83 percent of your credit limit. More importantly, this can be a warning sign to your lenders that you rely too heavily on credit. Even making your payments on time and in full — which, as noted above, is the largest contributing factor when it comes to your credit score — isn’t enough. Lenders determine your creditworthiness by how you manage credit. So, if you use too much of what’s offered to you, it can be a red flag. Going back to the example of a $3,000 credit limit, this means you would charge no more than $900 in order to stay in the 30 percent range. The bottom line: while paying your balances back will always be important, keeping your balances low is a close second. Lenders want to know that you can handle credit and not go overboard. If you’re applying for a mortgage, car loan, personal loan, or student loan, you may get approved for a sum of money. Sounds exciting, right? You can buy so much with that amount! But don’t get ahead of yourself. What can you really afford? Have you considered what the prospective monthly payments be? What is the repayment term? Lenders may offer you more money than you need, but you don’t have to take it. Borrow only what you need and only what you can afford. This means borrowing an amount that fits with your budget. In addition, you might find using a special calculator incredibly useful when figuring this out. If you’re going to be buying a new car, consider using a car calculator to make sure you have all of the details you need to fit it into your household budget. Keep in mind that if you borrow more than you need, you may get in over your head and paying your other bills may be difficult. Even if you’re using credit and leveraging it for something positive like a home or education, at the end of the day you still owe money. You still have a monthly payment that takes a bite out of your paycheck. So, be careful about the amount you borrow. Only take on what you need and can pay back, without hurting other areas of your life. In order to build your credit, you need to learn how to use it wisely. Credit is a tool that can be leveraged for opportunities — or it can be a downward spiral to unmanageable debt. Aside from borrowing only what you need, make sure you find reputable lenders and research the best type of loan for you. For example, you can find a personal loan on LendingArch instead of going to a payday loan lender with exorbitant interest rates. And, when it comes to getting a new credit card, make sure you understand all the perks. For example, you may be eligible to get a rewards credit card and earn miles or cash back from your everyday spending. Regardless of what type of loan you get, make sure you read the fine print and know the APR, repayment terms and more. If you get a credit card with a special introductory period, know when that ends and what the terms will be after that. Think of yourself as the CEO of your credit and treat it like a business. Understand the ins and outs of what you’re getting into and make sure you can use it to your advantage. When used responsibly, credit can be a tool to help you access opportunities, build your credit profile, and more. An important part of managing credit is monitoring your credit score and your credit report. Your credit score, determined by information in your credit report, is a three-digit number that reflects how creditworthy you are. Keeping tabs on your credit is important, especially if you will be applying for a new loan. So, check your credit report and see if there are any errors. Make sure your personal information is correct and that your payment history, lenders, etc. are all accurate. Errors can lower your credit score and hurt your chances of scoring a competitive interest rate. In other words, this can cost you money! Being proactive and checking your credit score at least once a quarter, and your credit report annually, can help you clear up any errors and make sure all is status quo. Managing your credit doesn’t have to be too complicated or difficult. Taking proactive measures and using these 5 tips can help you build your credit, manage your personal finances and credit, and will ensure you are given the best rates and offers on loans and credit cards. What Factors Determine a Credit Score and Approval for Credit Cards in Canada?